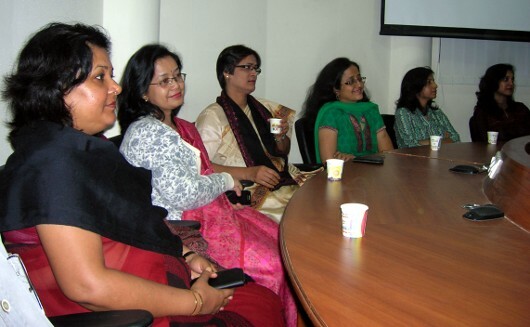 Special Hindi Week at NIC Assam State Centre was kicked off at the State Centre with a simple function by Mr. Deepak Goswami, SIO on 10-Dec-2012. Mr. Sandip Paul, In-Charge of Hindi language promotion initiative informed the gathering on the significance of the programme and highlighted about the various activities to be taken up during the week. 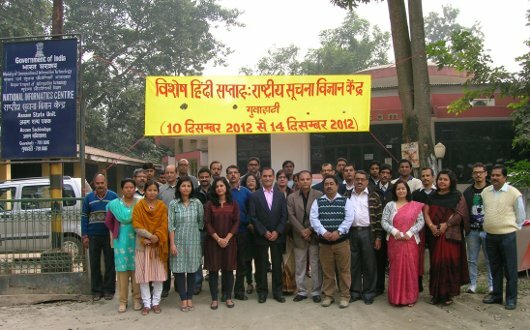 Employees pose for a group photograph on the ocassion of Special Hindi Week. Mr. Deepak Goswami, SIO Assam, addressing the gathering. Some of the participants at the meeting.